Huw Shepheard undertakes commercial and contractual disputes and public law litigation, advisory work and drafting over a range of practice areas and business sectors. He is a team player who enjoys working with lay and professional clients to identify and resolve problems in a way that is best suited to the client's needs. He is direct and decisive, a pragmatist in resolving disputes, prepares cases thoroughly and is an effective senior junior advocate. Huw is also happy to assist with Personal Injury work if asked, having undertaken many cases in the past at government level. Huw is an experienced advocate at all levels of court and tribunal. He is a leading Barrister, has presided over a public inquiry in Jersey and has worked overseas, including serving as the Attorney General of a British Overseas Territory. With over nine years’ experience as in-house counsel in the finance industry and a Master's degree in business and finance, Huw knows the mechanics of business, commercial negotiations and contractual detail. 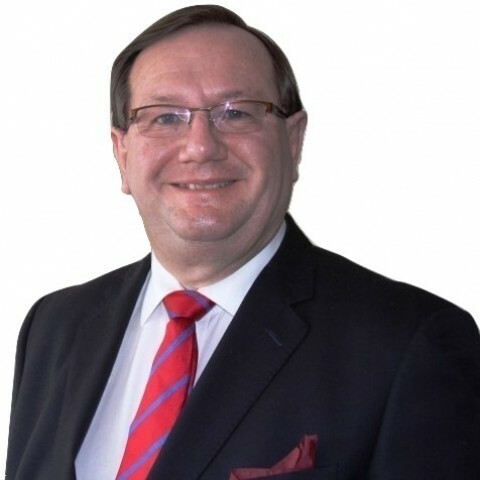 Huw prefers to get involved at an early stage to ensure that any negotiation or dispute is managed to best advantage through the courts or if appropriate, mediation or ADR. He is bilingual in Welsh and English and has experience of conducting proceedings in Welsh. He also has some knowledge of French, German, Italian and Russian. Huw is also accredited to accept instructions on a public access basis. Huw sings and plays musical instruments, goes scuba diving and sailing, and loves opera, rugby and cricket. Council of Europe expert in anti-corruption; formerly naval reservist; elected Police Officer, Parish of Grouville, Jersey; Volunteer and member of the management board, St John Ambulance, Bermuda. We don’t have any client feedback for Mr Huw Shepheard (1982) at this time. Outside of these key areas of law, Mr Huw Shepheard (1982) is always willing to consider any enquiry requiring the experience or knowledge needed to help you or your client. Please call Huw direct or the support team on 01823 247 247 if you would like to discuss any aspect of this profile. 1. In order to comply with the General Data Protection Regulation (‘GDPR’), I set out in this privacy notice how, why and for how long I will process or keep your personal data. 3. This notice has effect where you or your litigation friend (often a parent) have instructed me either directly under the Bar Public Access scheme, through your solicitor or agent or via the Bar Pro Bono Unit. I have to process your personal data. 11. This type of personal data will only be processed where it is necessary in order to represent you in your legal claim or advise on the prospects of a legal claim. 13. How long your personal data is kept will depend on a number of factors. The retention period will be reviewed when the service I am providing you with is complete. However, in general, I am obliged by the Bar Code of Conduct to retain records of my cases, and by HM Revenue and Customs to retain records for 6 years. 15. Processing for the purposes listed in paragraph 14 (ii), (iii), and (iv) above will take place for the purposes of legitimate interests that are not outweighed by your interests or fundamental rights and freedoms. This is in accordance with Article 6(1)(f) GDPR. 16. Processing for the purposes listed in paragraph 14(i) above will take place because it is necessary for me to comply with a legal obligation. This is in accordance with Article 6(1)(c) GDPR. 18. If you withdraw your consent for me to process such data, it will be highly likely that I will no longer be able to provide you with the legal services you seek. 21. You have the right to object, on grounds relating to your particular situation, at any time, to processing of your personal data in the circumstances described in paragraph 14 of this privacy notice. Should you object, the processing will only continue where there are compelling legitimate grounds for the processing that override your fundamental rights, freedoms and interests. 22. Where the processing or retention of your data is necessary for the establishment, exercise or defence of legal claims, you cannot object. (v) The personal data has to be erased to comply with a legal obligation. 27. If you have any questions regarding this privacy notice, or how I use your personal data please email me: shepheard@clerksroom.com, or my clerks: mail@clerksroom telephone 01823 247 247.